The Sports Illustrated cover is great—flexing the muscles, holding the ball, rock ‘n’ roll. 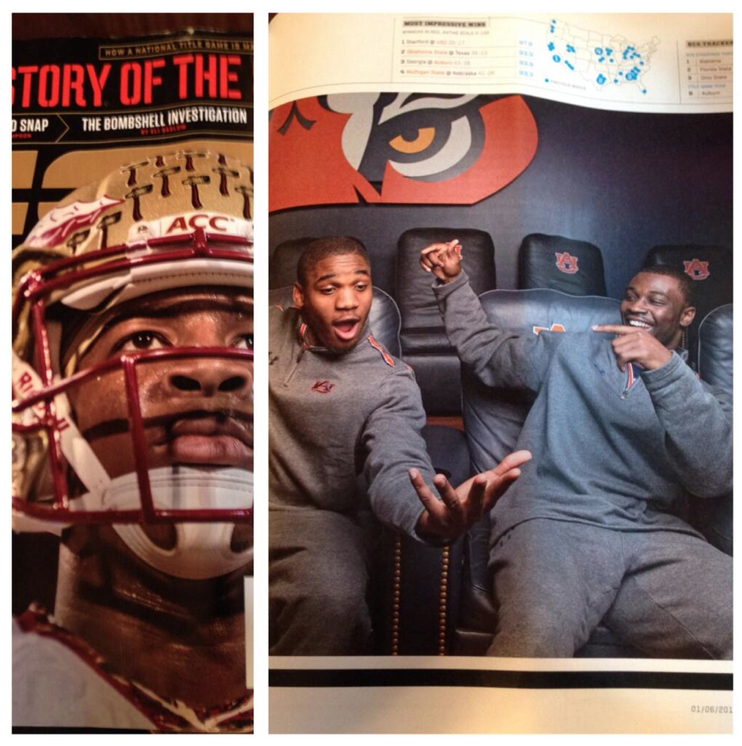 But you have to love Ricardo Louis’ pose in the Chris Davis tag team photo spread in the new issue of ESPN The Magazine. Related: Charleston, S.C. pastor uses photo of Chris Davis’ Iron Bowl-winning run in Christmas sermon.